Two dogs trapped for more than 22 days in a deactivated Cold War-era missile silo near Medical Lake are now home safely with their owner. 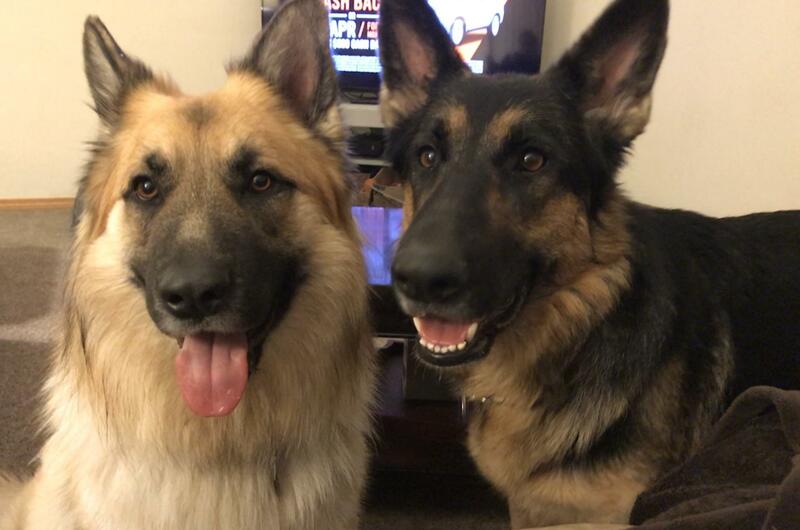 Medical Lake resident Jessica Donges said her two German shepherds, Zeus and Ziva, were rescued Tuesday with help from the Medical Lake Fire Department and the Spokane County Sheriff’s Office. Donges said the German shepherds escaped through a hole in a fence surrounding her yard and gained access to the silo near her home – which measures about 10 feet deep by 40 feet long – through an open door. “The fire department and the sheriff’s department came out and helped me get (the dogs) out,” she said, adding Zeus and Ziva were found in a hole with 6 inches of standing water. Donges canvassed the neighborhood, hung up flyers and posted notices on social media after the dogs went missing. “I got to the point where I thought somebody had taken them,” she said. On Tuesday, she spotted some dogs walking around the underground silo’s entrance, which prompted her to take a closer look under the door. She heard barking. Donges walked down the silo’s ladder, spotted Zeus and Ziva, and called 911 for help. Medical Lake Assistant Fire Chief Corey Stevens responded to the call and helped Donges pull the dogs up the ladder. “When we got them outside, they were playing and seemed in pretty good spirits,” he said. It was definitely a team effort, Donges said. “I couldn’t have done it without the fire department and the sheriff’s deputy,” she said. The site was once home to a Nike Hercules anti-aircraft missile battery, run by the U.S. Army as part of the Fairchild Air Force Base Defense Area from the late 1950s through the early 1960s; the Medical Lake site was decommissioned in 1966. Donges said because the underground silo – which appears to be on private land – is surrounded by houses, the neighborhood is concerned their pets or a person could get stuck down there. “It could have easily been a small child that could have gotten lost down there,” she said. A spokeswoman from Fairchild Air Force Base was unable to immediately confirm if the Medical Lake silo is privately owned and if safety precautions will be taken. Donges said while Zeus and Ziva sustained minor injuries as well as losing more than 20 pounds each, they have visited a veterinarian and are doing great.